Texas Children’s has received the 2018 “Most Wired” designation for outstanding health care-based technology from Hospitals & Health Network Magazine – the flagship publication of the American Hospital Association. 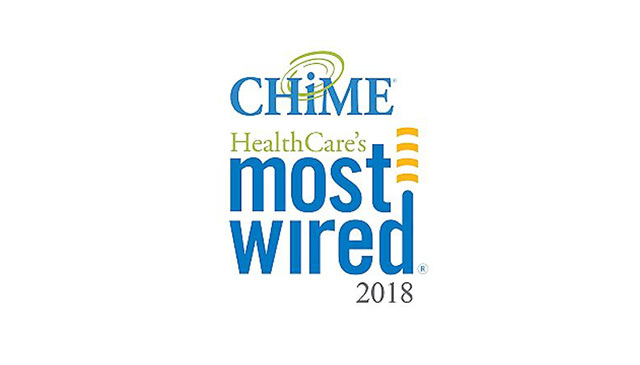 The annual Most Wired survey polls hospitals and health systems nationwide regarding information technology (IT) initiatives in the areas of infrastructure, business and administrative management, clinical quality and safety, and clinical integration. The 2018 survey of 647 participants represents 2,190 hospitals – almost 40 percent of all hospitals in the United States. Texas Children’s has earned Most Wired recognition in 2013, 2014, 2016, 2017 and 2018. Digitally tracking surgical instruments – Information Services helped to implement a digital tracking system for Texas Children’s operating rooms and Sterile Processing Department. Tracking surgical instruments digitally supports patient safety by preventing surgical delays, matching the patient with the correct instrument, prioritizing instruments for high risk cases and identifying obsolete instruments/sets. In addition, it supports continuity of communication (system-wide instrument pool), manages cost of lost instruments, tracks usage for additional sets for replacement or maintenance, enhances employee productivity and meets CMS/CDC/OSHA guidelines. Improving access to care – Information Services improved the patient experience by removing a couple of issues that occasionally hindered access to care. Patient scheduling process – IS partnered with clinicians, schedulers and the Epic & Revenue Cycle team to generate a questionnaire template to guide scheduling staff when making appointments. The result is a consistent process that improves the patient experience and promotes access to care. How long will I wait? – IS updated the Texas Children’s Urgent Care (TCUC) website to display location wait times. Displaying wait times allows TCUC patients to make an informed decision and potentially save time, improving patient satisfaction. The patient retains some control over the waiting experience, giving them greater flexibility with their time. Patient transport system intake and dispatch – Information Services upgraded the patient transport system used to document incoming and outgoing transfers. The upgrade optimized the use of tablets in the field, allowing EMS staff to collect data for reporting while providing patient care. In-house, the upgrade enabled Epic integration, supported Windows 10 deployment and brought Texas Children’s into compliance with industry reporting standards. Multi-Factor Authentication (MFA) – Information Services implemented a stringent security protocol throughout Texas Children’s that employs a layered defense to help prevent unauthorized access to organizational assets and patient information. Combining two or more independent credentials, MFA can help protect sensitive personal and health information. Data breaches can result in significant fines with regulators, impact our brand reputation and damage our patients’ trust.